1) TRAI Bill gets President Pranab Mukherjee's assent: A bill to remove legal hurdles in the appointment of former TRAI chief Nripendra Misra as Principal Secretary to the Prime Minister has now become an Act with President Pranab Mukherjee giving his assent. The President gave his assent to the Telecom Regulatory Authority (Amendment) Bill, 2014 on July 17, officials said. The amendment bill was passed by Parliament earlier this week. 2) Germany’s Philipp Lahm retired from international football: Germany captain Philipp Lahm has quit international soccer just days after leading his side to World Cup victory in Brazil. “It is the right time for me. I have totally enjoyed my time with the national team,” the 30-year-old was quoted as saying. The news was confirmed by the German soccer federation (DFB) website. Lahm played 113 games for Germany since his debut in a 2-1 victory over Croatia on Feb. 18, 2004. 3) Narayanan & Saranya won National junior chess championship: S.L. Narayanan of Thiruvananthapuram and Chennai’s J. Saranya registered victories in the final round to emerge the national junior chess champions at Pune on Friday. For Narayanan, who is expected to become an International Master in August, it was his first national title, while Saranya added another title to her big collection. 4) Bolivia becomes first nation to legalise child labour from age 10: Bolivia has passed a law authorizing children to work from age 10, saying the rule is necessary due to realities in the impoverished country where kids join the labor market prematurely. The reduced legal limit has come under fire from critics who said it opens the door to allowing more children to work from a younger age. The International Labor Organization is investigating the law, amid fears it breached global rules. 5) SC relieved Sunil Gavaskar as interim BCCI chief: The Supreme Court on Friday relieved legendary cricketer Sunil Gavaskar as the interim president of the Board of Control for Cricket in India (BCCI) in charge of Indian Premier League (IPL) 2014 and said that he was free to take up any assignment. The apex court bench headed by Justice T.S. Thakur relieved Gavaskar noting that the IPL 2014 for which he was appointed interim president had concluded June 1. 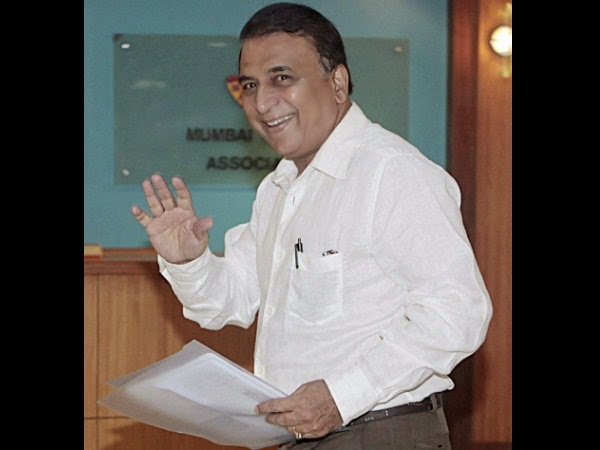 The court's order came in the wake of a letter by Gavaskar to the apex court seeking clarity on his position in BCCI after the conclusion of IPL 2014 which he was entrusted to look after. 6) RBI issued draft norms for small banks, payment banks: A week after Budget announcement, the Reserve Bank on 18 July 2014 issued draft guidelines for setting up of 'local feel' small banks, which will disburse small-ticket loans to farmers and businesses. The central bank also issued draft guidelines for setting up of payment banks, which will cater to marginalized sections of society, including migrant labourers, for collecting deposits and remitting funds. 7) RBI to issue new Rs 20 denomination notes in the Mahatma Gandhi series-2005: The Reserve Bank will shortly issue new Rs 20 denomination banknotes in the Mahatma Gandhi series-2005 with inset letter E. "The RBI will shortly issue rupees 20 denomination banknotes incorporating rupee symbol, with inset letter E, in the Mahatma Gandhi Series-2005 bearing the signature of Raghuram G Rajan, Governor," RBI said in a release. 8) Hero MotoCorp named title sponsor of ISL: Renowned two-wheeler manufacturer Hero MotoCorp Ltd was on Friday named as the title sponsor of the much-anticipated Indian Super League -- the first-of-its-kind franchise-based football league in the country. Hero has signed a three-year deal with ISL. With this sponsorship, the much-awaited new football league, promoted by IMG-Reliance and Star India, will be called the ‘Hero Indian Super League’. 9) SBI appointed B Sriram, VG Kannan as managing directors: State Bank of India (SBI) on Thursday said it has appointed B Sriram and VG Kannan as managing directors and group executives. Both come to SBI from Group associates, where they held senior positions. Sriram, previously MD of State Bank of Bikaner and Jaipur, will be handling international banking, while Kannan, who was MD and CEO, SBI Capital Markets, will be looking after SBI associates and subsidiaries division.